I wrote down an idea months ago when I was in the midst of revision. It was for a new novel, and I told myself to just get it down and take a look later. I revised. Revised again, and again. Did other things, got distracted, forgot. And I want to find that idea. I thought I typed it up on my computer, but I can’t find it, no matter what keywords I search for on my hard drive. I probably wrote it down in a notebook. So I took out every notebook from the past year and skimmed through them. An email address from someone I met at an SCBWI talk, I think? Who are you? But, after all that, and all those notebooks, I haven’t found the idea I was looking for. It’s possible I only imagined the act of writing it down. Sometimes what’s best for you is crushing for someone you love. I have a photo that shows just this. It’s a photo my mom had in a frame in her study and while my sister and I were up there for Thanksgiving, we brought it out and couldn’t help cracking up. It sends us into hysterics and yet… and yet, it hurts for me to see. The photo shows us on the day my family dropped me off in Ohio for college. I’d chosen to go to Antioch College, a school twelve hours from home—the distance from home was no coincidence. That’s me in the middle. My brother is on the left. And my baby sister is on the right—wearing an Antioch College T-shirt. These photos were taken just before my mom and brother and sister got in the rented van and drove all the way back home to the Catskill Mountains without me. We were saying our good-byes. My sister, Laurel Rose (I like to call her by her middle name, Rose, but most people call her Laurel) was the sweetest little girl—always so cheerful and adorable and making everyone smile. But look at Rose’s face there! She is so angry I’m leaving. She’s so hurt. Even more so because I clearly didn’t realize at the time. I was oblivious, just so excited to go away to college! I loved my baby sister and used to take her with me everywhere I could, but at the thought of my new school, I was so ready to go I could have burst. And going to Antioch was the right thing for me: I became a writer there. But we didn’t know that then. We didn’t know that Rose and I would remain close. That we are still so close even today, closer than before. That, years after this photo was taken, we’d have our inside jokes and our secrets and our shared love of certain songs and novels. That we’d have Paris—we’d go on a trip just the two of us when she was in college. We didn’t know then that I’d write a whole book for her. But every time I look at that photo, all I can think is, I’m so sorry, Rose! p.s. Bonus points if anyone can decipher what my brother, Josh, has pictured on his T-shirt! 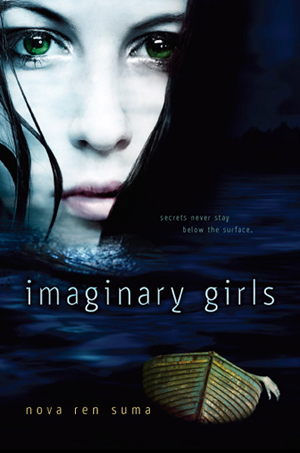 Since I revealed the cover of Imaginary Girls, I’ve been getting even more interest in the book from bloggers who’d like to review it or do special features on their sites. Thank you! So much! I’ve put the note below up on my new Facebook page and on Goodreads, but if you happen upon my blog, here it is, too. And if you’ve contacted me already, I’ll be in touch. Thank you! 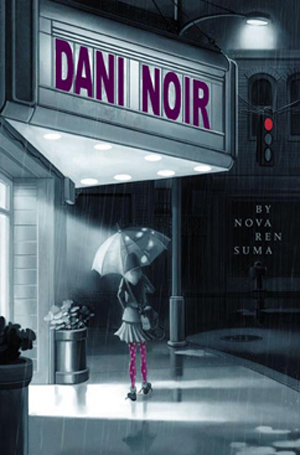 Thank you for wanting to read and review my upcoming YA novel Imaginary Girls. I keep getting asked this, so I thought I’d answer here: I’d love to send ARCs to bloggers—and I’m very interested in blog tours and interviews, too! The ARCs (advance reader’s copies) aren’t yet ready, but when they are I’ll be sending a list of bloggers who have contacted me to Penguin. I’m not sure how many ARCs will be sent out, but we will see. There are no guarantees, but I hope to share the book with as many bloggers as I can. It would be helpful if you include a link to your review blog as well as a mailing address. If you’re just a kind person who wants to read the book (thank you! ), hopefully I’ll be able to have a separate giveaway for readers soon! Again, this is no guarantee that you’ll get the ARC, just a list of interested possible reviewers. AND you can always contact Penguin directly when the time comes. You don’t have to e-mail me. It, uh, makes me nervous. I’m relieved that ARCs aren’t ready just yet! I’m busy doing a massive freelance project due the day I leave for the Thanksgiving holiday, so I surely should not be blogging at a time like this. What has gotten into me? Anyway, like some other authors I know, I’ve been struggling with how best to use Facebook. I don’t want to annoy my friends and family, but I also want a way to get book news out there and be able to talk about my books and writing and all that. And I don’t want to have to force people to be my friend either. So… I made this Facebook page last night. You can “like” it, to keep up with future news about my book, or you can “like” it just be nice to me. Or you don’t have to like it, really. I’ll probably make more use of it in the future, when there’s stuff to tell you about Imaginary Girls. Also, another fun distraction is that I keep meaning to put up a FAQ page on my websites to answer questions I get a lot from readers… If you have any burning questions for me, feel free to leave them in the comments, or you can ask them completely anonymously on Formspring. I’ve started answering some questions there, but I’ll collect some to put up in the FAQ. Finally, what’s the best first-person novel you’ve read lately? I love first person, and I’m always hungry for new voices. 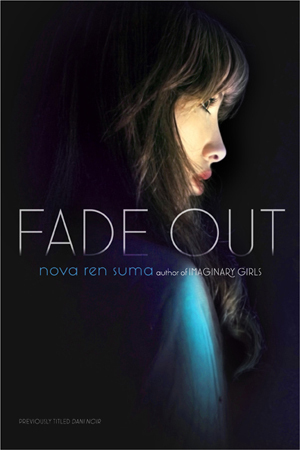 I am dying to read this novel. *Or nap. Yes, I was describing Yaddo. Damn, I want to go back. Wow, between here and Twitter and Facebook and the Blueboards, thank you for the responses to my new book cover and the story summary! I still get a bit breathless when I look at the cover. Speaking of what is now Imaginary Girls, do you ever wonder where your ideas come from? The smallest kernel of them? The defining moment? I remember when this novel used to be a short story… originally inspired by two particular Cat Power songs (NO, I assure you, my novel is not about werewolves!). I looked back in my archives and found the moment I put down the first-ever words that are distantly related to the idea that became this novel: December 30, 2006. I wrote six paragraphs about two sisters living in a certain house you’ll still find in my novel. Here’s a blog post I wrote on that fateful day, where I mention having a new idea for a new short story. I was totally clueless, wasn’t I? Where did your latest novel begin? Can you find the exact moment when it entered your mind? Pinpoint the kernel of an idea that set you afire and got you writing what you’re writing now? Remember an odd detail, like the music you were listening to when it came your way? It’s a weird thing to look back, no? It feels like such a long time ago. For the longest time, I’ve been hinting that I saw a peek of the cover for my upcoming YA novel Imaginary Girls and that I was madly in love with it. I am going to stop hinting. That’s right. Today is the day I show you the jacket image that made me cry. So, without further stalling, here it is. Ruby said I’d never drown—not in deep ocean, not by shipwreck, not even by falling drunk into someone’s bottomless backyard pool. . . . It sounded impossible, something no one would believe if anyone other than Ruby were the one to tell it. But Ruby was right: The body found that night wouldn’t be, couldn’t be mine. I was going to tell you all the reasons why I love this jacket image—like maybe how I feel it so perfectly captures the mood of the book; how, if I saw this across a bookstore, I’d run over to go see what it was—but you know what? I think you have a good idea of how much I love it. 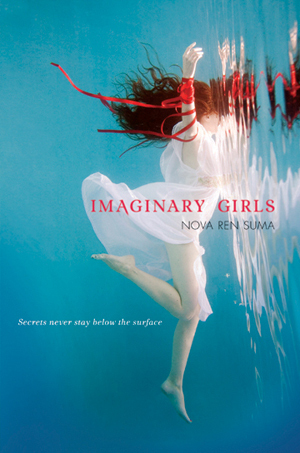 So… what do you think of the cover for Imaginary Girls? I hope it makes you want to read the book! I read this article about James Frey’s fiction factory with great interest, since he was recruiting writers from a room I could have been in, had this happened some years ago. For those who haven’t been following this story, James Frey is writing YA novels now. Well, he’s not exactly writing them. But he’s getting them written—and sold. And, sometimes, sold big. What he’s doing is hiring a whole stable of writers to write the books for him. “It’s a crappy deal but a great opportunity” is how one writer put it. So, if I’d been sitting in that classroom and scribbled down James Frey’s email address in the margin of my notebook on that fateful day… would I have contacted him? Big question. And complicated answer. First, some about me: I was a student in that MFA in writing program at Columbia, one of the schools he’s recruiting writers from. I went straight in to the program from college, at age 22, and if a New York Times bestselling writer thought I was good enough to write with (really for) him, believe me, I would have been swayed. But that did not happen. So I graduated Columbia eventually… I took as many years to turn in my thesis as they’d let me, and that thesis was a novel that was never published outside of a few short stories adapted from it. Years passed. I wrote another novel that did not get published. More years passed. And then I began writing work-for-hire. My own contracts were directly with the publishers—I got a flat fee and no royalties, which sometimes worked in my favor when a series I was writing for got canceled. At the time I was a work-for-hire writer, I was also a bitter and, I thought, failed novelist. I hadn’t tried writing my own YA novel yet, and I thought I’d never get anywhere. I’d visit bookstores and go check out “my” books on the shelves. Nowhere on them did my name appear, even though, in some cases, I could have chosen to use my own name if I’d wanted. I wrote at least seventeen work-for-hire books, some novels but most movie and brand tie-ins. There is not one book I wrote during this time that I’m proud of. And, thanks to all the deadlines, I was far too busy to do my own writing. It was a little depressing. But somehow, through connections I made doing this work, I was able to publish a book under my own name. Only after that did I get the chance to publish my first YA novel—my first true novel, my heart—with the help of the best agent I could have hoped for. As of June 14, 2011, it’ll be a dream come true and all that. But it was an odd twisting road to reach that dream. James Frey’s road could get a writer the same thing it got me. So that’s me. Filled with the misled MFA glory and gone desperate from reality after graduation. Naive enough to sign away my rights in a snap. And well used to writing possible crap for very little pay and no byline so I could pay my bills. My first reaction to hearing about James Frey’s new company was—momentarily forgetting my own YA novel coming out next year and the fact that I’m contracted for another to follow—hey, maybe I need a new day job… I’m a Columbia MFA grad… where can I sign up? Then I kept reading. And realized my agent would never let me get involved in this (if he did; I’d be shocked; check out the contract terms). And I want my own ideas for my own novels. But, yeah… it sounds tempting at first, doesn’t it? So, sure that sounds scary. But I can easily put myself in the shoes of any writers who leaped at this chance—and, surely, as this is ongoing, still leaping. But my second reaction, when I thought about it, was a surety that I wouldn’t have jumped on that chance had it been handed to me when I was a “young writer” as he says. Why? Because that was before I went through all those years of rejection. When I was still a student, I really believed in myself in a way I don’t even believe now. I had faith. Naive faith. Signing up to write for James Frey means letting go of some of your own faith that you can make it on your own. In my mind, it’s giving up on your dreams. Or at least putting them on hold for a while. Fact is, James Frey is smart to recruit from MFA programs like Columbia, possibly the most expensive program in the country. Smarter still would be to recruit from graduates a couple years after… when those massive loans come due and all the literary agents said “you’re a very talented writer, but I’ll have to pass.” Who’s to say, just a few years ago, that I wouldn’t have signed up for this had he asked me? I might have. That scares me. But what scares me the most is the “conflict of interest” danced around in the contract that makes it seem like you can’t work on anything that would get in the way of what you write for him. What about your own stuff… would that get in the way? What if the book you’re writing for James Frey becomes an ongoing series, and for years you’re obligated to write only for him? Can you not publish your own novel, if that opportunity arose? How long would your dreams have to be put on hold? That’s a risk I’d be very afraid to take. The thing is, if you want to try your hand at writing a commercial YA novel under a name that isn’t yours—and you can change your mind about that name thing later; I did—guess what? You totally can. Write the manuscript. Get an agent. If it’s your own idea, keep it and at least try to sell it on your own first. But if you need money—and to those who don’t get it, I’d love to show you my student loan bills… only I’m too embarrassed—who’s to say giving up a few years to write someone else’s idea for novels is the worst way to go? I did just that… and if I’d done it for James Frey’s company, maybe I could have made a solid dent in my loans by now. But if that’s what you want to do, I suggest try sampling for Alloy first. So what do you think about this? Would you want to secretly write the next Great American YA Novel for James Frey? Maybe it just inspires you to work harder at your own novel. Imagine the glory of publication when you see your name on the spine and you can honestly say to anyone who asks: That’s my novel and no one else’s.